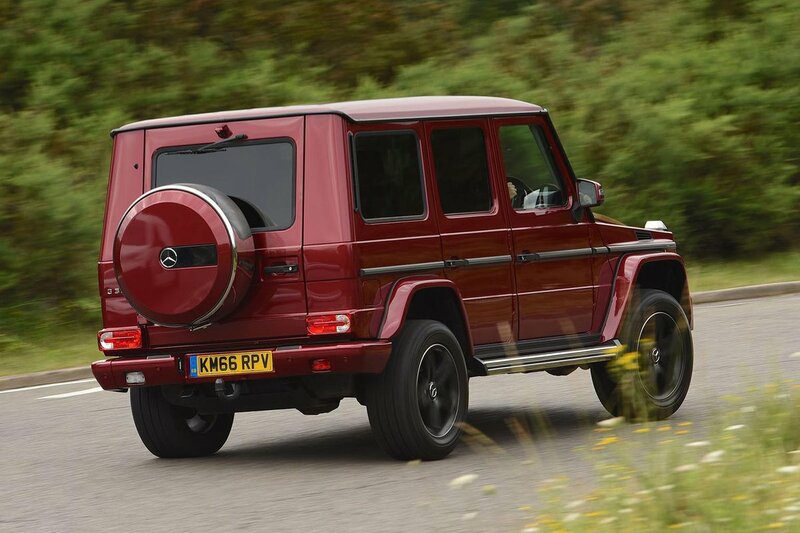 Mercedes-Benz G-Class Boot Space, Size, Seats | What Car? 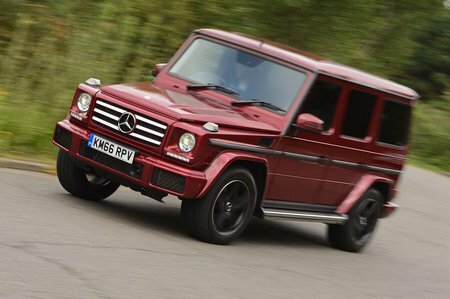 The G-Class might give the impression that it’s the size of a semi-detached house, but it’s actually deceptively small compared with many modern SUVs. 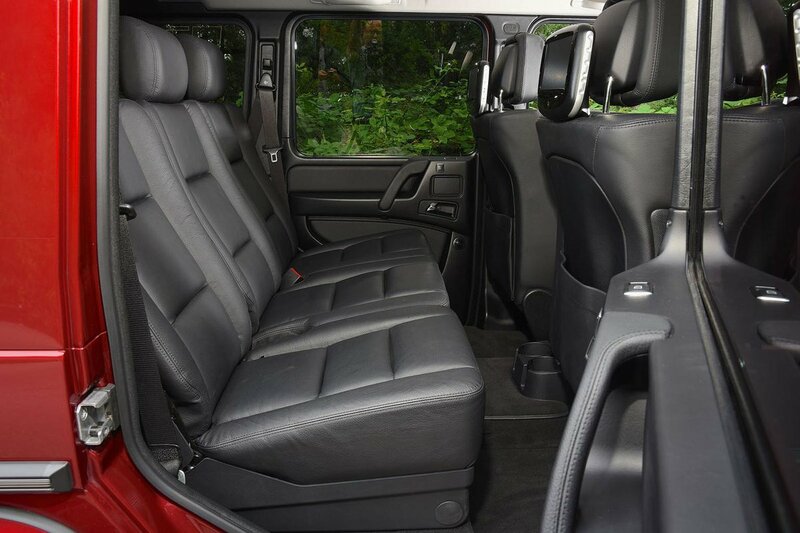 The interior is much narrower than the likes of a Range Rover or Audi SQ7, so you sit much closer to your front seat passenger. Even so, there’s plenty of front leg room and a vast amount of head room. Move to the rear seats and things get cosier. The interior’s width means seating three on the bench is a squeeze; in fact, even two may be an issue given the surprisingly tight rear leg room. Head room is once again plentiful and you get a 60/40 split folding rear bench if you’re more interested in carrying things rather than people. Open the side-hinged rear door (there’s no tailgate here) and you’ll find the boot is huge. How huge? Let’s just say you could probably get a PGA Tour’s worth of golf clubs back there. There are lots of lashing eyes in the floor and no loading lip, either. You will find plenty of wheel arch intrusion and the boot floor is a long way off the ground, though.